Remarks: Proposed Construction! 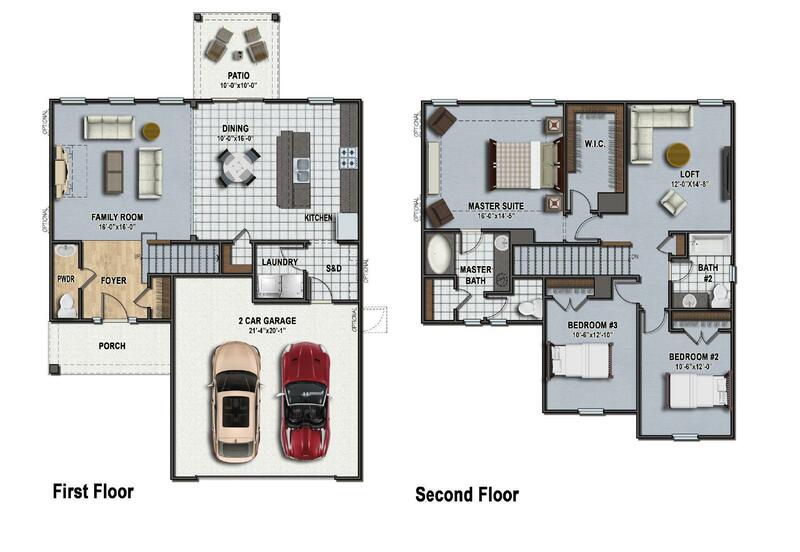 The Dillon Ii Home Plan Is Arguably One Of Our Best Selling Homes For New Families Looking For Convenience, Practicality And Great Use Of Space At 2,000 Sqft. . All Bedrooms Are Located On The Second Level On This Home In Addition To A Spacious Loft That Can Be Used As An Office, Work Space, Play Area Etc. In The Dillon Ii , This Loft Space Can Be Converted Into A 4th Bedroom If That Is What Your Needs Require. The Main Level Of This Home Features An Open Concept Where The Foyer, Living Room, Dining Area And Kitchen Are Essentially One Large Room.